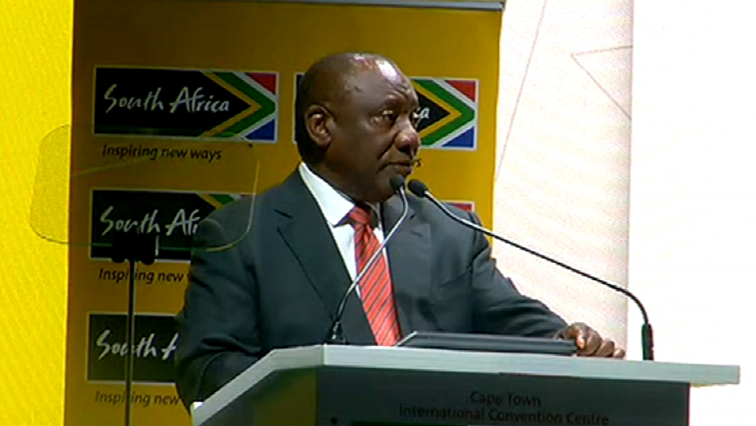 SA attractive investment destination: Ramaphosa - SABC News - Breaking news, special reports, world, business, sport coverage of all South African current events. Africa's news leader. President Ramaphosa presented South Africa as an attractive investment destination with many opportunities especially in mining. President Cyril Ramaphosa has again allayed investors’ fears on government’s move to expropriate land without compensation. Speaking at the annual Mining Indaba currently underway in Cape Town, he presented South Africa as an attractive investment destination with many opportunities especially in mining. The President says expropriation will be done in accordance with the constitution. He says expropriation of land will apply to land for purposes of land reform only with a clearly defined set of circumstances. “This measure will be undertaken in a way that promotes economic development and growth. Investors need not fear that their investment and assets will be taken away from them,” says Ramaphosa. This entry was posted on 06 Feb 2019,05:53AM at 5:53 AM and is filed under Business, Homepage Latest Stories Slider. You can follow any responses to this entry through the RSS 2.0 feed. Both comments and pings are currently closed.